Stylist unveils brand new political TV show: Women of the House - D.C. Thomson & Co. Ltd.
As part of Stylist’s Visible Women campaign, we brought together three leading female MPs to discuss women in politics… and what they’d really like to do to Boris Johnson. Question: would you rather go on a canal holiday in Norfolk with Boris Johnson or Jacob Rees-Mogg? 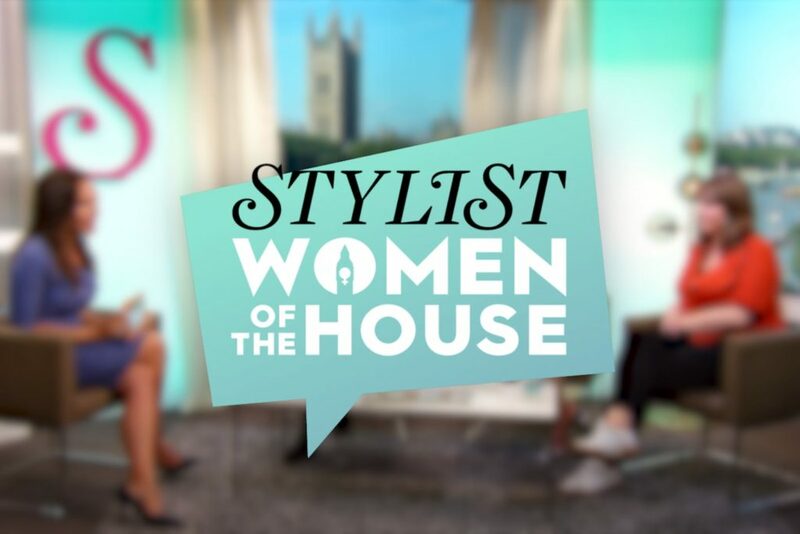 That was the dilemma we posed to three of Britain’s leading female MPs when they came together for Stylist’s brand new political TV show, Women of the House. It’s not your average political conversation, but this isn’t your average political TV show. In a media first, we at Stylist have developed a new series that only invites female MPs to the table to discuss the biggest issues of the day. After years of listening to men talk on behalf – or if they’re really good, over – their female counterparts, we wanted to create a “safe space” for Britain’s leading female MPs to share their thoughts on sexism in parliament, Brexit and living with their Twitter trolls. In the first episode of Women of the House, Phillips, Kemi Badenoch (Conservative, Saffron Walden) and Hannah Bardell (SNP, Livingston) sit down with broadcaster Isabel Webster and reveal the impact that Brexit is having on women’s rights. Phillips says that several examples of legislation that would have benefited or protected women have fallen through “because of Brexit taking up all the time”. She cites the example of a law that would have stopped violent perpetrators of domestic abuse being able to cross-examine victims in family courts. Bardell adds that women need to “be leaders in our own right”, and actively work to shape other women’s perspectives of politics. When she first stood for election in 2015, she says, she was running against four men. The new TV series, Women of the House, was launched to tie into the centenary of women being able to stand for parliament. On 21 November 1918 the Parliament (Qualification of Women) Act was passed, which gave all women over the age of 21 the right to stand as MPs. Constance Markievicz was the first woman to be elected to parliament in the December 1918 general election – but as an Irish nationalist, she refused to take her seat in Westminster. The Commons remained a boys’ club until November 1919, when Nancy Astor was elected MP for Plymouth South. Much has changed for women in the UK since then, not least that we have our second female Prime Minister in place, holding down the top job. But in 100 years, Westminster has not matured into a place of gender parity. Less than a third of current MPs are women, and male politicians make up more than 80% of our female Prime Minister’s cabinet. Overall, Britain has had just 456 female MPs since 1918 – only two more than the number of male MPs currently sitting in the Commons. Now, that’s not what we’d call true representation… despite Theresa May’s leadership. Why does this matter? On a basic level, we know democracy functions best when those in power truly understand the needs and experiences of the people they represent – and research has repeatedly shown that female politicians are more likely to focus on issues that matter to women. Hell, even Afghanistan, voted the world’s most dangerous place to be female, has quotas in place that mean 50% of appointees to the upper house must be women. At just 48th (that’s 48th!) in the world for female parliamentary representation, we are embarrassingly behind. Yet the vast majority of UK women say they would never consider standing for election. Perhaps this is not surprising. A report by a cross-party group of MPs published earlier this year found that Westminster still has a sexual harassment problem, while other research has confirmed that women politicians are vastly more likely than their male counterparts to face sexist online abuse. Add to that the fact that parliament is still not set up to accommodate the needs of politicians who also happen to be parents (MPs are not entitled to paid maternity or paternity leave, and archaic voting systems can be almost impossible for pregnant or breastfeeding women to navigate) then you can understand why a career in politics looks increasingly undesirable to the average woman. But if we want the UK to become a better place for women, we need more women in power. And despite its problems, Phillips says Westminster is improving in terms of gender politics.